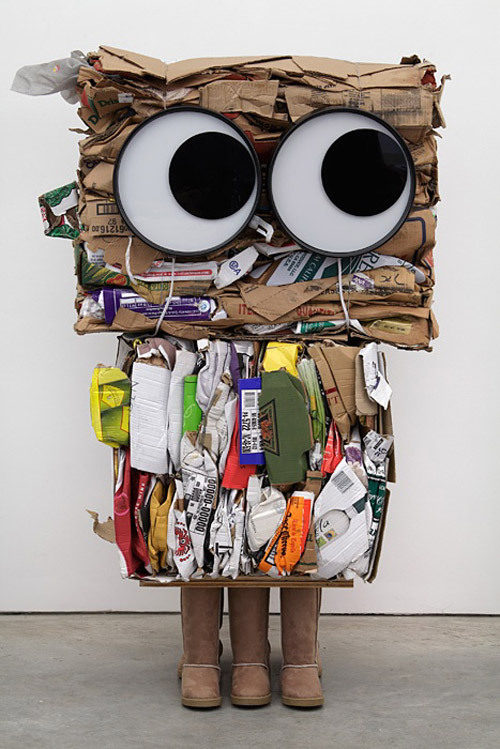 Rob Pruitt's 'cardboard monsters' are so fun not to share with you and also, because they look so owl-y to me. 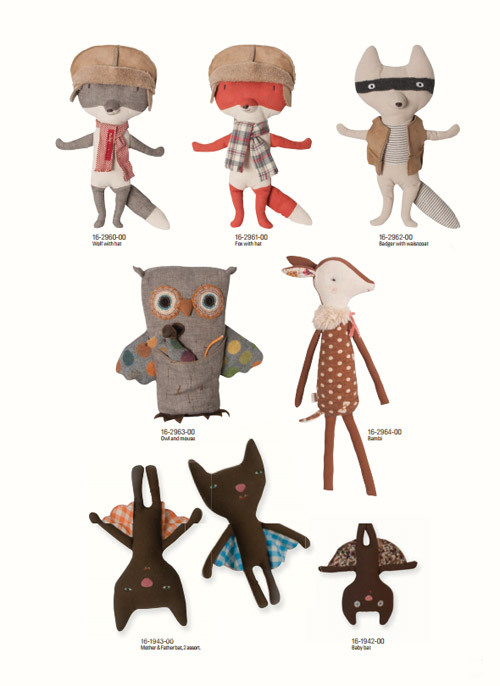 Freya Art & Design is a brand based in England that offers everything made by hand and tons of love right in their studio. 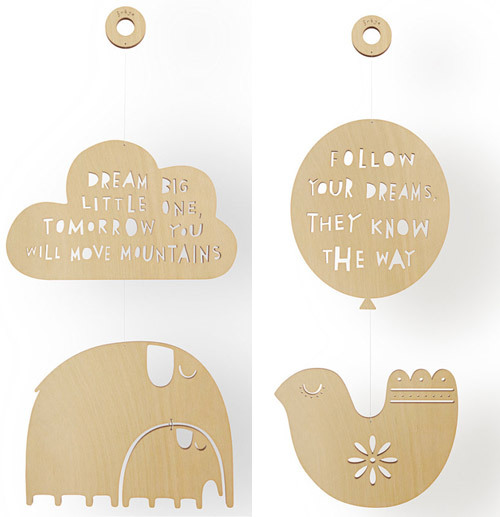 Their designs are fresh, whimsical and full of inspirational words that you'll love to be surrounded with. 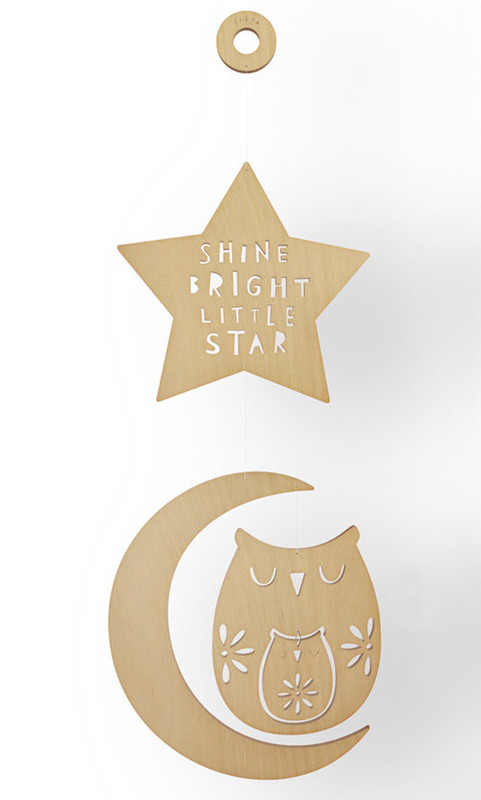 I am especially loving these wooden laser cut mobiles that'll look great in kid's bedroom and grown-up space. 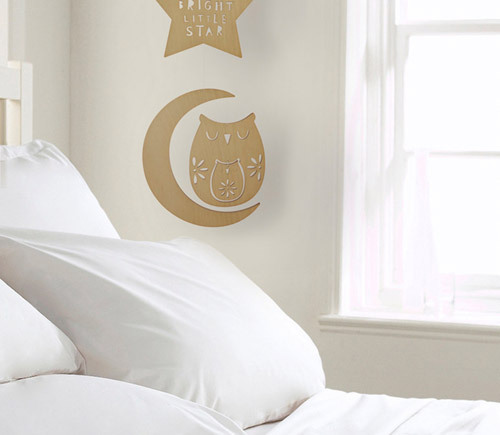 Visit their online store for cards, prints, cushions and much, much more. 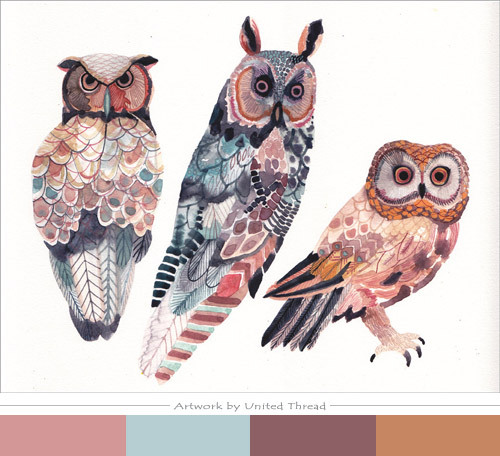 Three Owls by United Thread. 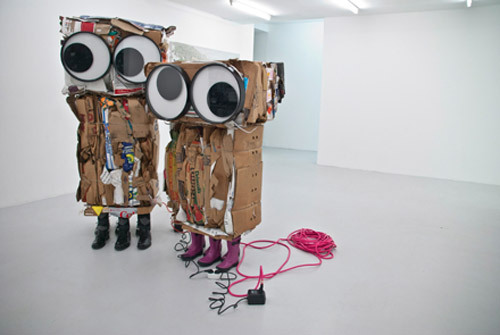 Maileg is a Danish design brand started in 1999 by Dorthe and Erik Mailil. 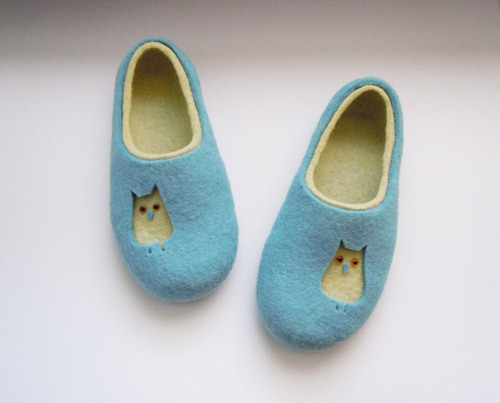 They offer handmade products that are a perfect combination of nostalgic and contemporary feel. 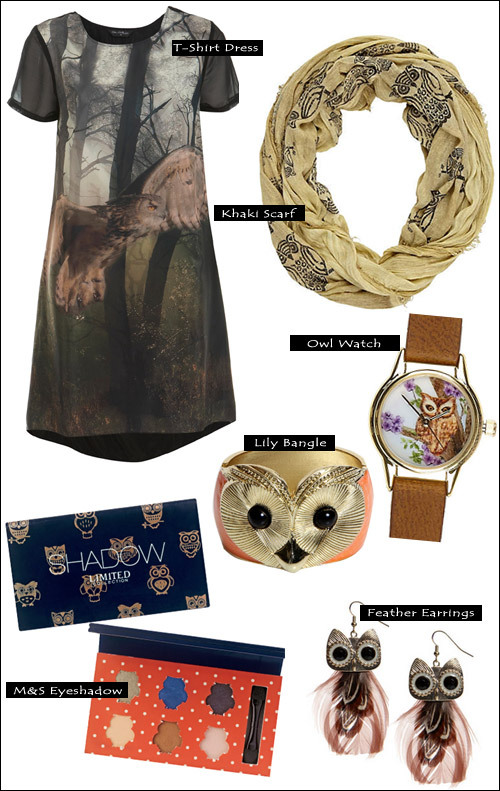 Their Winter 2012 collection is filled with simple and elegant woodland creatures each one has its own unique personality. 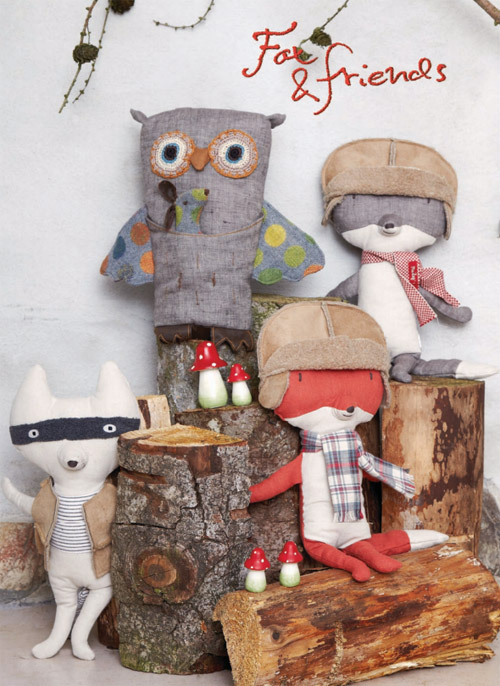 How sweet is that owl with its mouse friend and the fox with the hat. 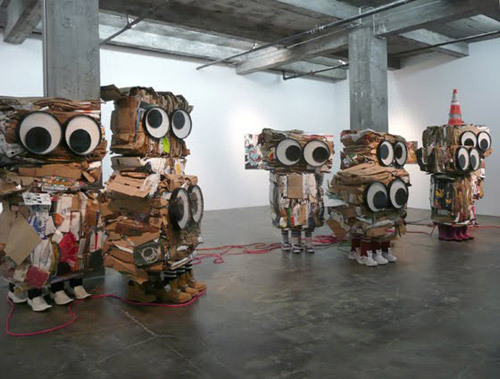 Visit their website to browse their catalogue. 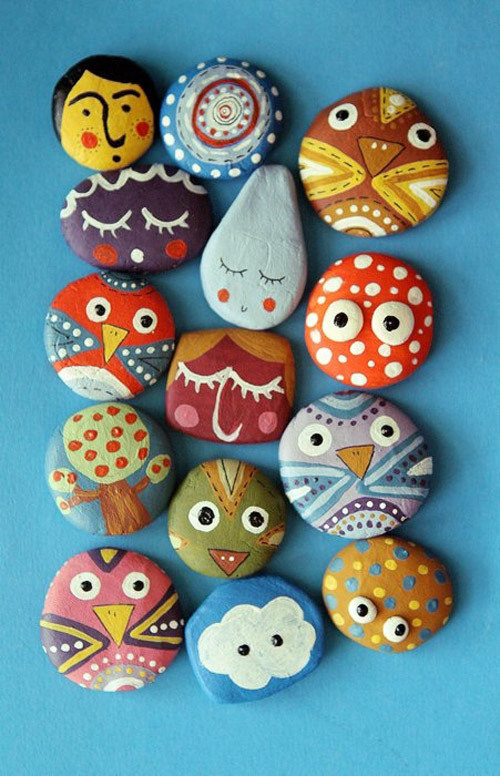 Painted stones by Denise Scicluna. 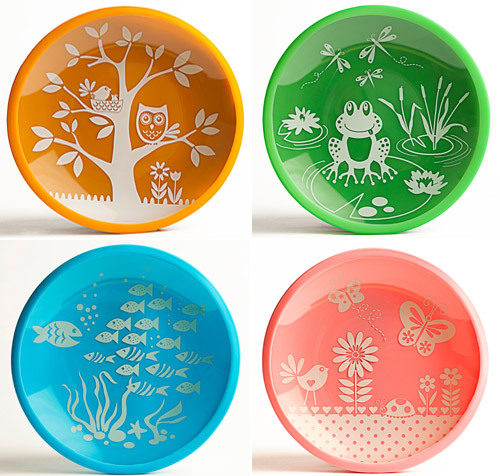 These Brinware plates are not only cute but are made with durable and strong tempered glass, no more plastic or chemicals touching your child's food. 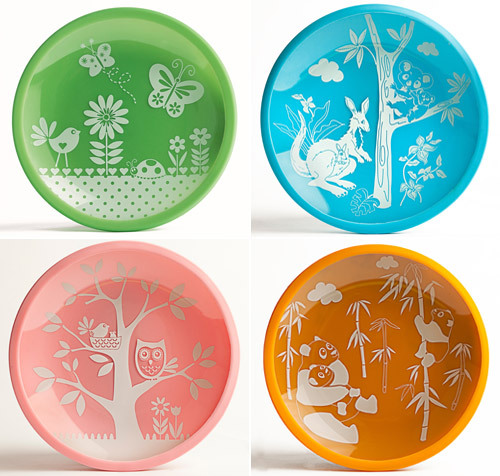 Each colorful dish is 7.5" and comes with removable silicone cover. 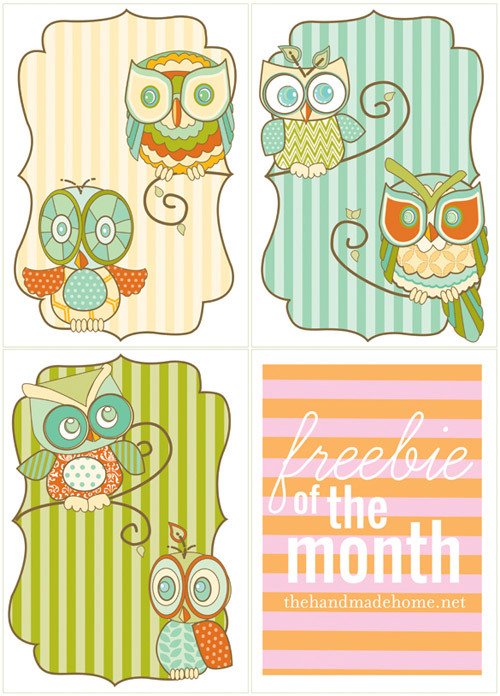 The sleeve is available in 5 fun designs - owls, butterflies, birds, frogs, pandas that are easily changeable for a new look each day! 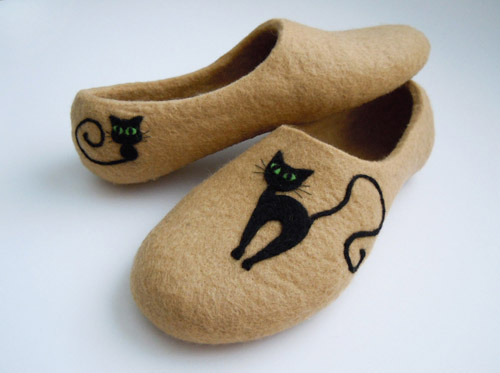 Simona is a Lithuanian artist who likes to work with wool and creates the most amazing felted handbags, purses, clutches, felted slippers, felted pillow cases and much more. 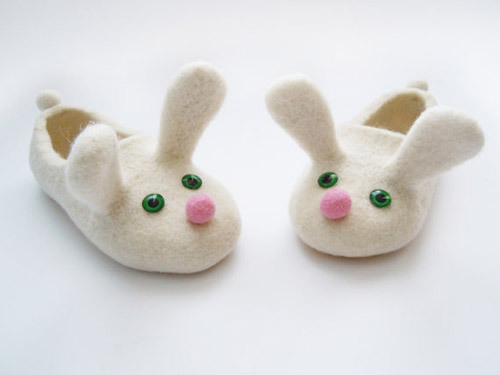 I am enamored with the animal slippers series made with soft merino wool which makes them easy and soft, and popular among kids and grown ups. 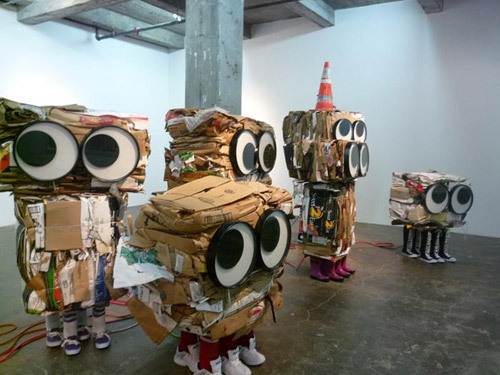 To see more of her creations visit her online store. 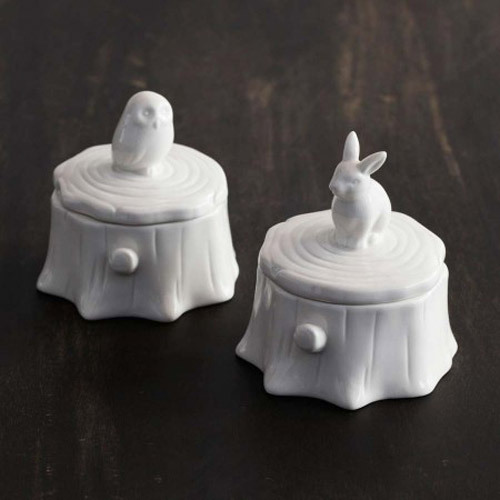 These owl and rabbit ceramic trinket boxes are the cutest way to store your jewelry or small things. 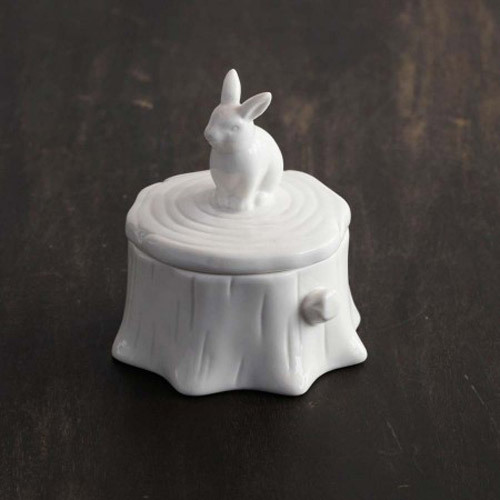 Add a little whimsy to your dresser or desk with this lovely tree stump shaped container adorned with woodland critters. 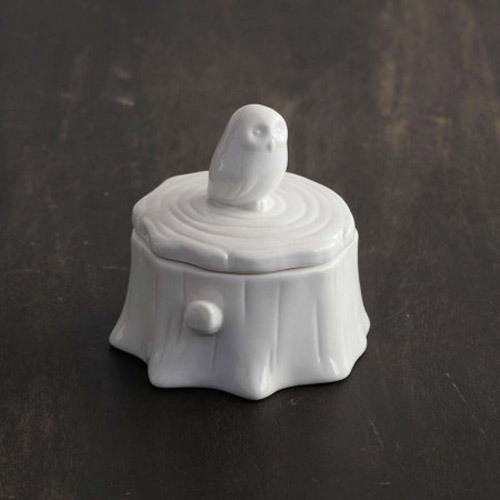 Available at Graham and Green here.